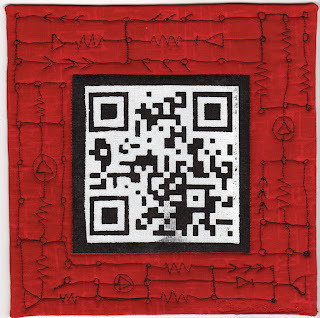 New Weekly Quilt – QR Affirmation 1 – Cheryl Sleboda – Textiles. Technology. Texture. Teacher. Well, I didn’t expect this would be as popular as it is, but thanks so much to those who are viewing this from The Guardian Online! 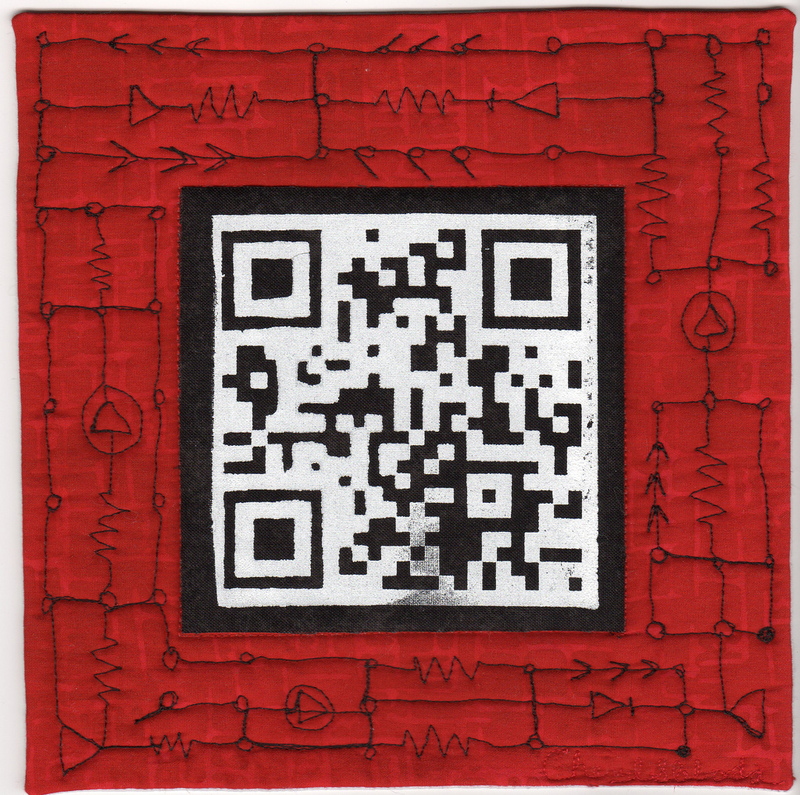 This is the first in a series of mini quilts I’m doing this month that are “affirmations”. This is 8 x 8 inches. These codes are everywhere and if you have a smartphone, you should be able to use a free QR code reader app to snap a picture of this and read what it says. I’m not going to ruin that for you, so have fun figuring out what it says! More are coming later this month. This was a lot of fun.